Jabiru is a town in the Northern Territory of Australia. Escape the urban bustle at Ubirr and Maguk Gorge. Nourlangie Rock and Motor Car Falls are good opportunities to explore the local culture. Spend the 7th (Fri) exploring nature at Jarrangbarnmi / Koolpin Gorge. 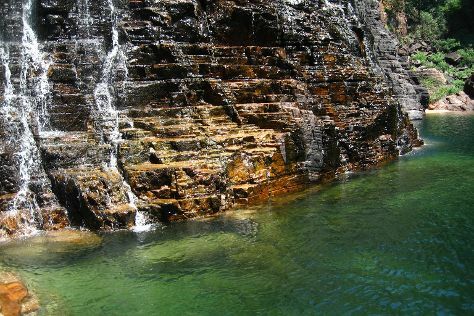 And it doesn't end there: admire the sheer force of Gunlom Waterfall Creek, identify plant and animal life at Yellow Water, examine the collection at Warradjan Cultural Centre, and take in the dramatic natural features at Bilkbilkmi / Graveside Gorge. To see other places to visit, ratings, where to stay, and other tourist information, read our Jabiru (Kakadu National Park) sightseeing planner . Edinburgh, UK to Jabiru (Kakadu National Park) is an approximately 33-hour flight. The time zone changes from Greenwich Mean Time (GMT) to Australian Central Standard Time (Northern Territory) (ACST), which is usually a 9 hour difference. Finish up your sightseeing early on the 8th (Sat) so you can travel to Uluru-Kata Tjuta National Park. Walkatjara Art and Uluru Hiking Path are good opportunities to explore the local culture. Step out of the city life by going to Kata Tjuta and Uluru. There's lots more to do: hike along Kuniya Walk, go for a walk through Lungkata Walk, don't miss a visit to Field of Light, and head outdoors with Walpa Gorge. To find other places to visit, more things to do, reviews, and other tourist information, go to the Uluru-Kata Tjuta National Park trip itinerary maker tool . Traveling by combination of bus and flight from Jabiru (Kakadu National Park) to Uluru-Kata Tjuta National Park takes 9.5 hours. Alternatively, you can drive; or do a combination of car and flight. In June, daytime highs in Uluru-Kata Tjuta National Park are 22°C, while nighttime lows are 7°C. 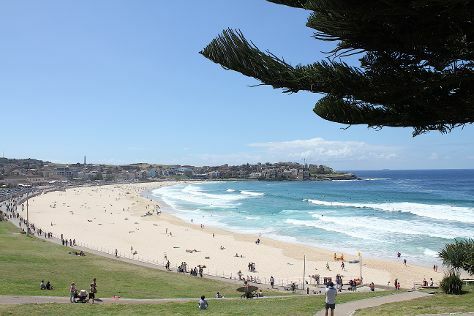 Wrap up your sightseeing on the 11th (Tue) to allow time to travel to Bondi. You'll enjoy a bit of beach vacationing at Bronte Beach and Maroubra Beach. Shop till you drop at Cooee Aboriginal Art Gallery and Westfield Bondi Junction. Explore Bondi's surroundings by going to Kiama Harbour (in Kiama) and Grand Pacific Drive - Sydney to Wollongong and Beyond (in Wollongong). For photos, ratings, traveler tips, and more tourist information, you can read our Bondi day trip planner . Use the Route module to find suitable travel options from Uluru-Kata Tjuta National Park to Bondi. 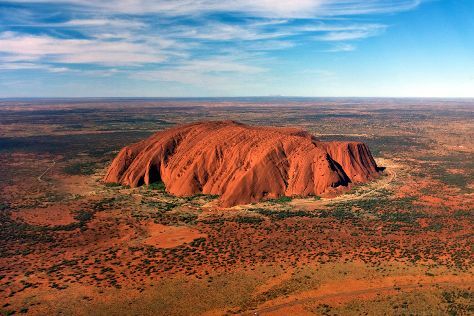 Expect a bit warmer evenings in Bondi when traveling from Uluru-Kata Tjuta National Park in June, with lows around 11°C. Wrap up your sightseeing on the 15th (Sat) to allow time to travel to Katoomba. Kick off your visit on the 16th (Sun): take in the exciting artwork at Blue Mountains Cultural Centre, view the masterpieces at Lost Bear Gallery, then take your sightseeing to a higher altitude at Blue Mountains, and finally admire the natural beauty at Windyridge Garden. Get ready for a full day of sightseeing on the next day: get to know the fascinating history of The National Pass, admire the sheer force of Wentworth Falls, explore the world behind art at Norman Lindsay Gallery & Museum, then look for gifts at The Nook, and finally buy something for everyone on your list at Leura Mall. To see other places to visit, reviews, where to stay, and tourist information, refer to the Katoomba day trip tool . You can drive from Bondi to Katoomba in 2 hours. Traveling from Bondi in June, Katoomba is little chillier at night with lows of 7°C. Finish up your sightseeing early on the 17th (Mon) so you can go by car to Sydney. Your cultural itinerary includes sights like The Rocks and Australian National Maritime Museum. Do your shopping at Sydney Fish Market and Danks Street Produce Merchants. Spend the 20th (Thu) exploring nature at Sydney Harbour National Park. Next up on the itinerary: stroll through Bondi Beach, admire the masterpieces at Brett Whiteley Studio, enjoy the sand and surf at Manly Beach, and take in the views from Sydney Harbour Bridge. For more things to do, where to stay, maps, and more tourist information, you can read our Sydney trip planner . You can drive from Katoomba to Sydney in 1.5 hours. Alternatively, you can take a train. Traveling from Katoomba in June, you can expect nighttime temperatures to be a bit warmer in Sydney, with lows of 11°C. Wrap up your sightseeing on the 22nd (Sat) to allow time to travel back home.